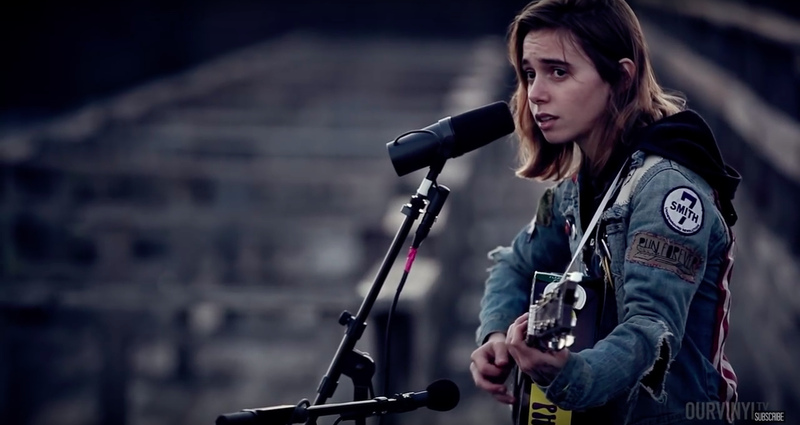 Singer-songwriters are a dime a dozen, so it’s saying a lot that Julien Baker has managed to rise as the cream of the current crop. To call her voice and music delicate would be an understatement. There’s a vulnerability in the way Baker sings that adds an emotional heft to all of her songs, and a dreamy way of phrasing her lyrics that will make you feel you’re listening to the wisdom of an old prophet inhabiting the body of a 22 year old girl. Born and raised in Tennessee, Baker formerly fronted the band Forrister (FKA The Star Killers) before going solo, touring with some of the more successful folk and emo artists around, including Paramore and Death Cab for Cutie. This year, she’s released three wonderful singles, with her second full LP coming out October 27th. Sprained Ankle – Baker’s signature track, a lament about her focus on death an inability to move forward. Distant Solar Systems – Baker ponders her existence and purpose from the perspective of the cosmos view of earth.